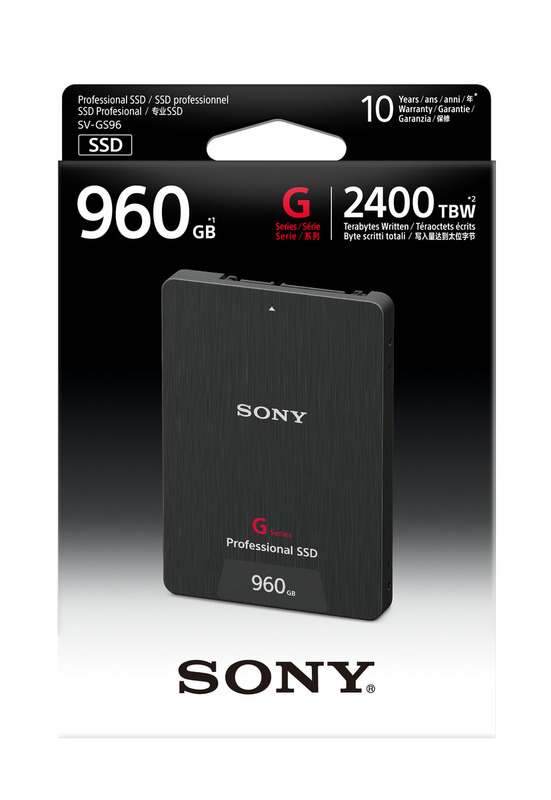 Sony India has launched two new G Series Professional Solid State Drives (SSD) in 960GB (SV-GS96) and 480GB (SV-GS48) capacities. These SSDs are designed for external video recording devices docked to camcorders or high-performance DSLRs. Thse drives are best suited for content creators looking for more efficient, stable and flexible hi-bitrate recording in often unpredictable environment conditions. The new SSDs are a solid option for respective video recorders, offering videographers stable high-speed capabilities, a sense of security and lower cost of ownership due to their longer life. Using Sony’s Error Correction Code technology, the 960GB G Series SSD achieves up to 2400 TBW (terabytes written), while the 460GB drive can reach 1200 TBW, resulting in less frequent replacement and increased ROI. 2400 TBW translates to about 10 years of use for the SV-GS96, if data is fully written to the drive and average of five times per week. Sony G Series SSDs feature built-in technology which prevent sudden speed decreases, while ensuring stable recording of high bitrate 4K video without frame dropping. For example, used with an ATOMOS Shogun Inferno, G series SSD is able to record video at 4K 60p (ProRes 422 HQ) mode stably. G Series SSDs offer data protection technology that keeps content secure and intact, even if a sudden power failure occurs. Adding to the drive’s stability, it features a durable connector which withstands extreme repeated insertion and removal up to 3000 times – or 6 times more tolerance than standard SATA connectors – even in harsh conditions. The SV- GS48 (480 GB) is priced Rs. 25,500 and SV-GS96 (960 GB) has price tag of Rs. 47,500. These SSDs will be available across all Sony Center and major electronic stores across India from third week of May and comes with 10 years of Warranty.